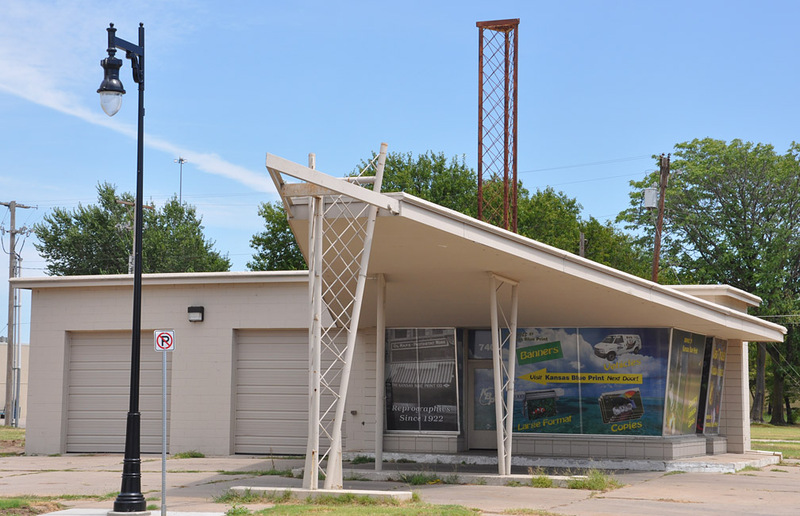 This former Sinclair station was built in 1962. 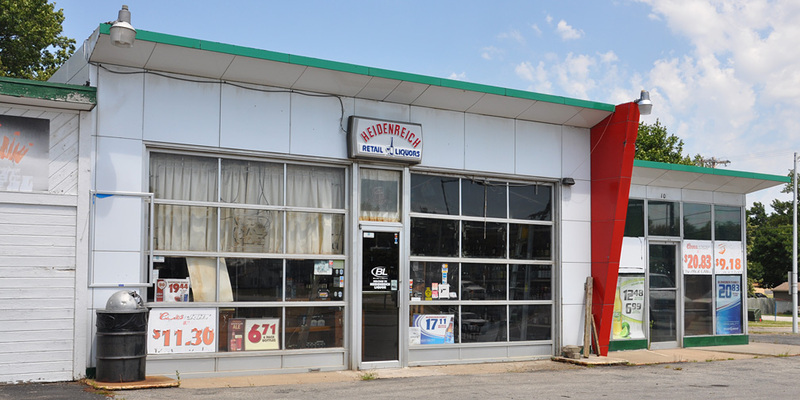 It had been used as a liquor store before these photos were taken in 2010. It appeared to be closed at that time. In 2015, this station was put up for sale. The building was dismantled in 2016. It appeared to be done fairly carefully so it may be reassembled somewhere else. 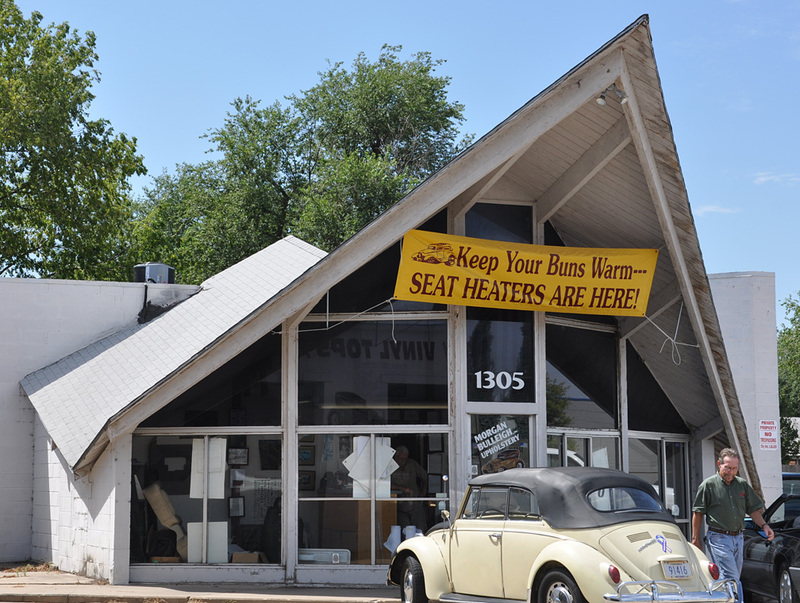 There is another station like this one in Lincoln, IL. 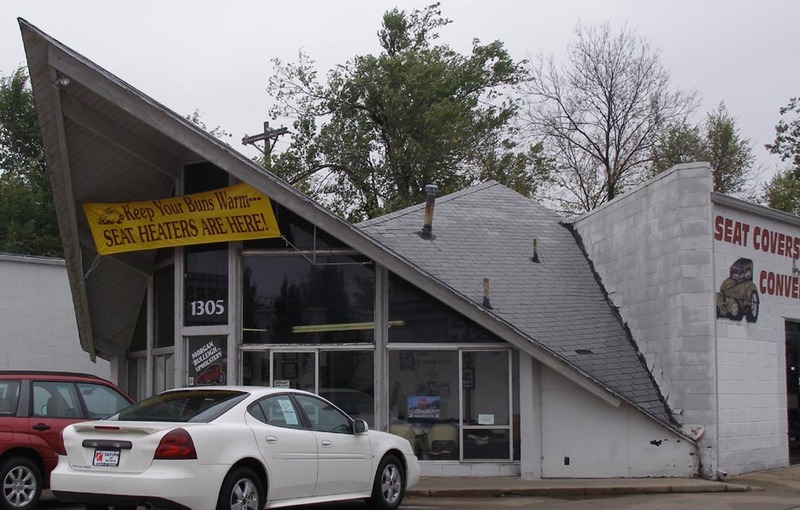 There was another Vickers station in Wichita of this design which has been demolished. 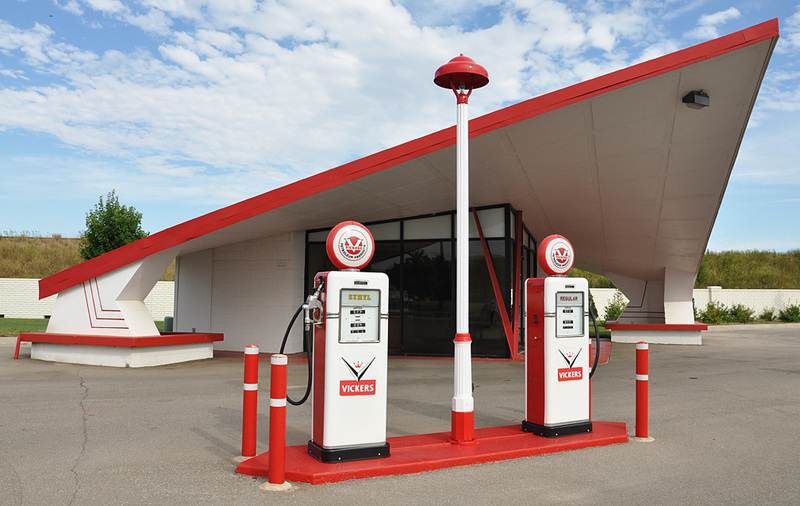 It was known as the Cardwell Service Station. 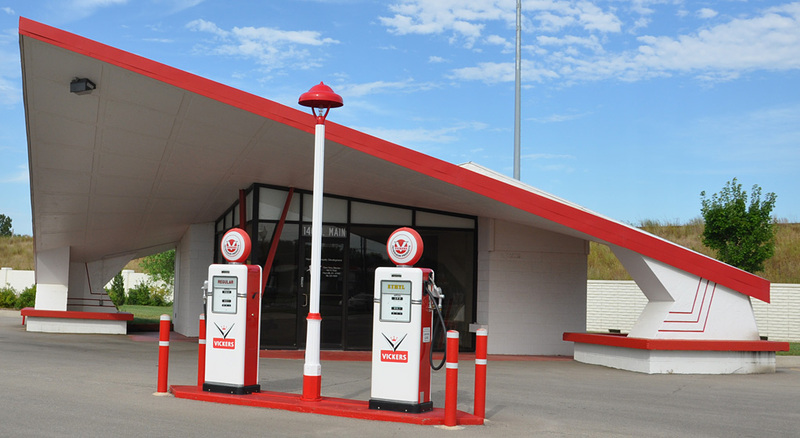 There are a few Orbit stations in California which feature a similar building style. 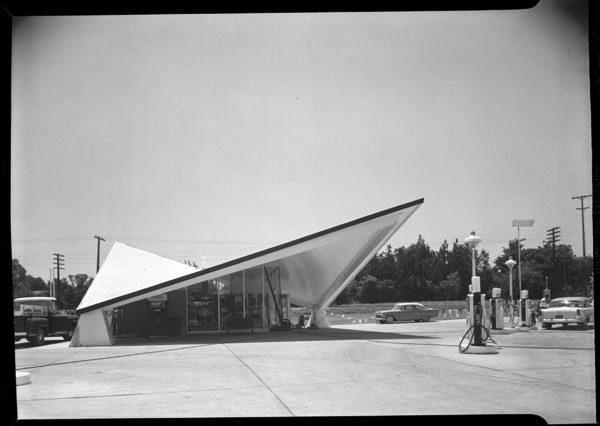 There is another gas station with a parabolic roof in Fayetteville, NC.